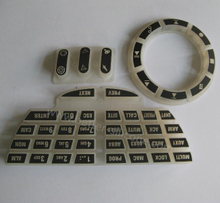 Electrically Conductive Printing Silicone Rubber keypad, also called Transfer Printing Electric Conduction Keypad, which choose electrically conductive printing ink instead of black carbon pills as silicone rubber keypad’s electroconductive point. 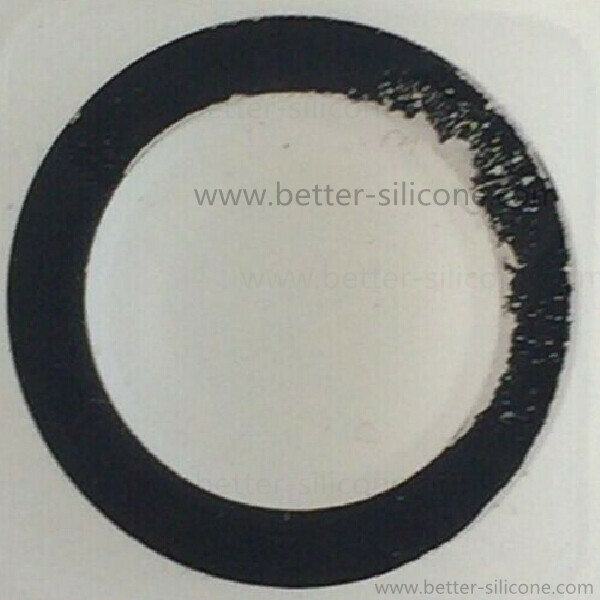 Why choose transfer pad printing electric conduction ? 1. 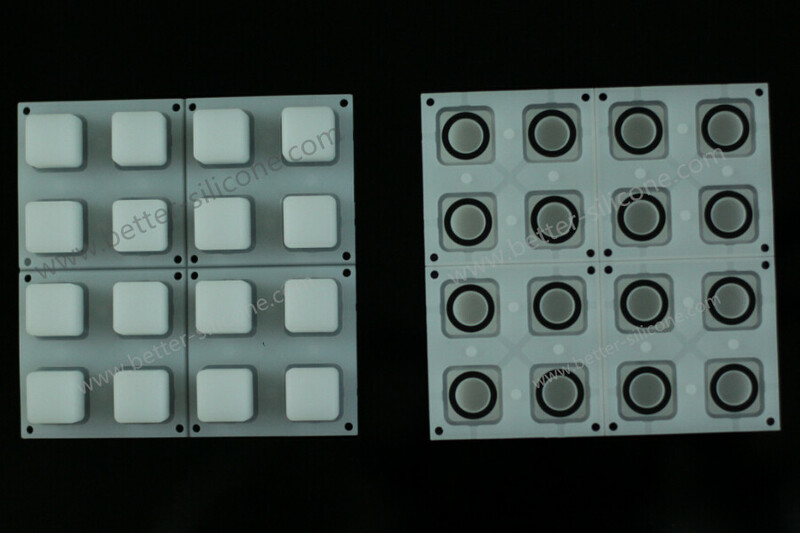 Keypad electrically conductive zones is irregular, or O-ring / Rectangular Shaped for backlight. 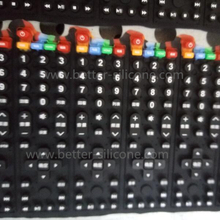 Mostly silicone keypad choose black carbon pills to electric conduction. 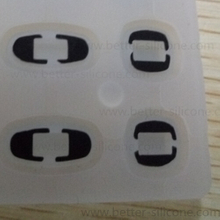 However, some keypad conductive zones is irregular, specially about backlight / backlit silicone rubber keypad. 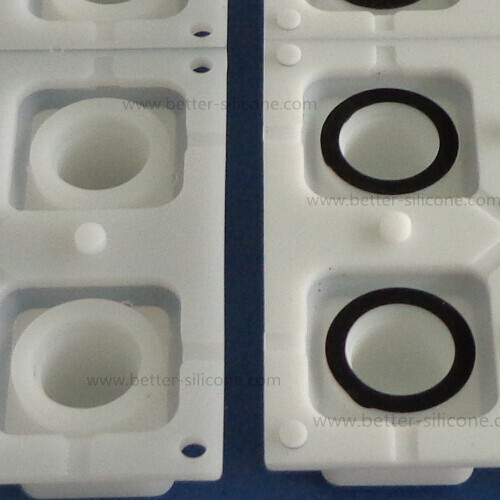 Placed many black carbon pills and place to produce elastomeric keypad whick will affect the production efficiency. 1. Electrically conductive printing ink Keypad, which contact resistance is mostly higher than black carbon pill. Black Carbon Pill Keypad contact resistance which is easy to control below 100 OHMS, some can up to 0-50 OHMS. 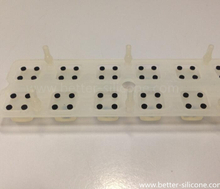 Electric conductive printing Keypad contact resistance, mostly is about 150 OHMS, and possibly up to 200 OHMS. 2. 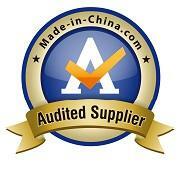 Black Carbon Pill keypad is more strong and durable. After a long time use, elastomeric keypad’s electrically conductive ink will removing, and also keypad contact resistance will getting higher. 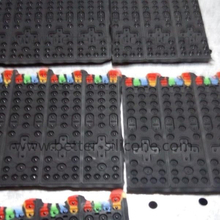 If need improving the lifespan of transfer conductive printing keypad, one is use qualified electric conductive ink, and make sure conductive coating ink is dry enough after drying.